As you begin planning for your study abroad venture, it’s only natural to anticipate the most glamorous aspects of your trip. And while you’re sure to experience a few real-life movie moments, these high expectations can muddle your perception of the reality that awaits you. Read on to discover tips and advice to help you overcome these challenges! Effective communication is essential for your success as a study abroad student. If you’ll be facing a language barrier, it’s important that you know the level of fluency that will be expected of you. Are classes taught in the local language? Will your teachers expect you to write and speak fluently? Will you be able to communicate with fellow students and locals? You may also find yourself jolted by the sudden shift in culture. Everything from food and religious practices to transportation systems and style of dress may differ from those in your home country. Unfortunately, this culture shock can lead to feelings of frustration, anxiety, and homesickness. If you are not prepared to cope with these differences, they can lead to considerable amounts of stress – even in situations where you’re performing the most mundane of tasks. Contact prospective programs and universities to see if classes are offered in your language. Utilize online language programs and translation and navigation apps before you go – save directions and common phrases and track important routes. Find areas most likely to be populated by people who speak your native language; reach out to study abroad participants and locals from your home country. Subscribe to a student travel blog and read about others’ study abroad experiences. Join a chat forum to ask any questions you have directly to former study abroad students. Research cultural and regional norms and expectations before you go. Check out this infographic for tips on dealing with culture shock. Navigating a foreign destination on your own can be a very intimidating experience. You may be experiencing certain levels of independence for the very first time. Perhaps you’ve never lived on your own or traveled outside of your home country. 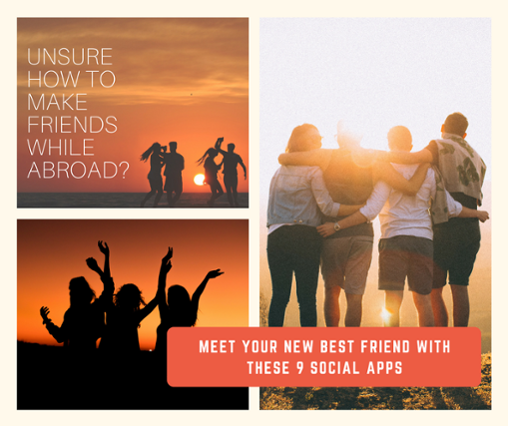 Because some of the worst symptoms of culture shock (sadness, anxiety, a sense of isolation or alienation) can result from the realization that you no longer have your friends and family beside you, it’s important that you’ve fully prepared for this transition. Ask your guidance counselor for a student mentor’s email address and connect with him or her. Once enrolled in study abroad classes, utilize the class roster to reach out and form relationships with your peers, or ask the professor for advice or recommendations. Join a club or volunteer organization offered by your host program/institution or host city. If you’re traveling abroad through a study abroad organization, reach out to the program advisers and volunteers assigned to assist you. Stay in touch with your family and friends through apps like Viber and Skype. Travel expenses, tuition, room and board, books and supplies, utilities, local transportation, and the overall cost of living can add up quickly when studying abroad. In fact, the International Institute of Education estimates the average cost of studying abroad to be around $18,000 per semester. Depending on your chosen destination, university, and study abroad organization (and whether you have a part-time job, scholarships, or financial aid), your expenses can vary greatly in cost. Start planning early and secure a scholarship; studyabroadfunding.org can aid you in searching hundreds of study abroad scholarships, fellowships, grants, and paid internships. Check with your program or institution to see if you’re eligible for financial aid (or to see if your financial aid will transfer to a pre-approved program). Create a budget and save money in advance; fill out this cost worksheet provided by Michigan State University to calculate the total cost of your program! Check not only the current exchange rate, but its history over the last year or two, and consider how currency fluctuations might impact your budget. Buy or rent used textbooks from sites like Chegg, Campus Book Rentals, and Amazon. Work an extra job for quick cash before traveling abroad; if you’re interested in working abroad, check out goabroad.com (but beware of working regulations for international students). Studying abroad in the USA? Check out this FREE Guide to International Student Financial Aid! Worst case scenario: an international university or study abroad program extends an invitation for you to study abroad. You happily accept and acquire numerous credits throughout your studies, but return home to find that your international credits do not transfer to your home college or university. Not only will you have spent large sums of hard-earned money on international classes that don’t count toward your degree, but this potential setback could throw you off track to graduating on time. In most cases, your current university will offer the study abroad programs with the credits they will accept. However, if there is a specific program or university you would like to attend outside of the pre-approved programs, your university may arrange an exception—but not always. Luckily, you can assure that your credits will transfer to your home university by taking the following steps. Make sure your study abroad college or program is accredited. Get your study abroad credits approved by your home university beforeaccepting an invitation to study abroad – this will assure that you stay on track to graduate. Get at least twice as many courses pre-approved as you plan to actually enroll in abroad – this will assure that you have options if your first-choice courses are cancelled or become full. If you have to register for a class that you didn’t get pre-approved, contact your home university right away – staff may be able to approve your courses even after you’ve left. Know whether your credits will transfer automatically or you’ll have to apply to transfer credits when you return to your home country. Keep records of your classes and work so you can answer any questions your home university may have about the work you completed while abroad. If you’re a U.S. student and need additional help, be sure to check out this guide to transferring credits to the U.S. from abroad. Like many people, you may assume that your domestic health insurance will continue to cover you as you travel outside of your home country. Some domestic health plans provide coverage for unexpected injury or illness incurred abroad, but coverage levels can vary. Other home country health plans provide no international coverage at all, meaning you could be solely responsible for expenses resulting from unanticipated medical treatment. Most schools and study abroad programs require participants to have health insurance for this exact reason. And while they may offer their own international student health insurance, this isn’t necessarily your only option. You may be able to shop around and purchase your own student health plan – as long as you can show proof of comparable coverage. Review your domestic health coverage or contact your insurance company to determine whether or not you have any international coverage (and whether this coverage is sufficient). Talk to an advisor for your school or program to determine whether you can purchase your own student health plan. Determine the health insurance requirements of your program and visa. Research international student health plans to compare prices and benefits. Remember: Studying abroad on a budget doesn’t mean you have to settle when it comes to health coverage. Quality student health insurance can offer budget-friendly plan options and an overall maximum benefit of $200,000 or more. 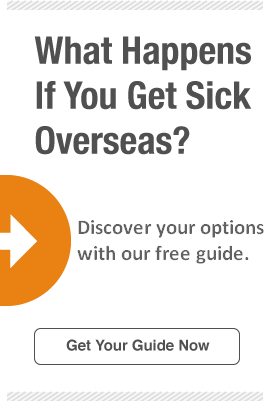 Learn more about international student health insurance or price your StudentSecure quote now!